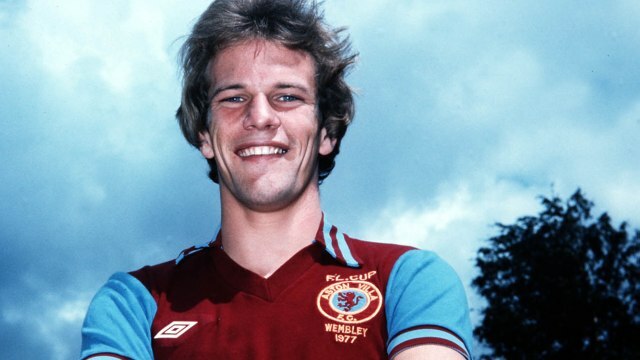 We are pleased to announce Andy Gray as a new patron of the Aston Villa Supporters’ Trust. From the moment I joined Aston Villa as a young lad in 1975, I knew I had arrived at a special club. Over the next four years a special bond developed between myself and the Villa faithful. That bond has lived with me ever since and have returned to the club twice (Once as a player, the less said about that spell, the better!) and once as Big Ron Atkinson’s right hand man in 1991. It’s ironic that my transfer in 1979 helped provide the funds for Ron Saunders to build the great Championship and European Cup winning team and when I returned as assistant manager in 1991 Big Ron and myself also built a new side on the back of another high profile, expensive exit in David Platt. Now I am about to become an Aston Villa Supporters Trust Patron, for which I am delighted, the club once again is in a rebuilding process, armed with the proceeds of the sales of Christian Benteke and Fabian Delph. A worrying time but at the same time, an exciting time with the potential to create a more vibrant, exciting football team.